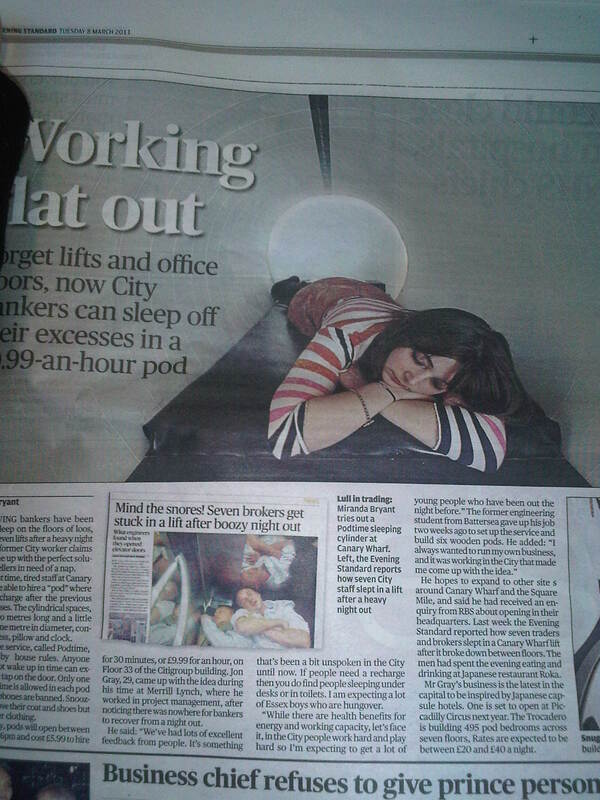 Pick up today’s Evening Standard and there was an article in there about these new ‘sleeping’ pods some dude has come up with after years of working ‘in the City’. A rented by the hour pod to take a nap in, just to rest up and recharge. Throughout the article it sounds like the former city work had came up with an original idea until you get to the last paragraph, where it says its inspired by the Japanese Capsule Hotels’. Those hotels have been around in Japan for years, so why has it taken so long to reach our oh so tired city workers? Maybe its because now they want to make out at how hard they work. Next Post Day Sixty Seven: Pancake Day!! !